Progreso para todos – I’m part of it today! If you know me, I can be a bit direct. I’m not proud of this but if you catch me at the wrong time you may get the non-sugercoated version of what’s on my mind. So it was the other night when I was taking the garbage out and a group of neighbors stopped me with “Sir we need to talk to you”. The “president” of our neighborhood was with them and I had just fussed at her a couple of days before because she lets her pitbull run loose, which is not OK. However turns out this wasn’t a dog issue. 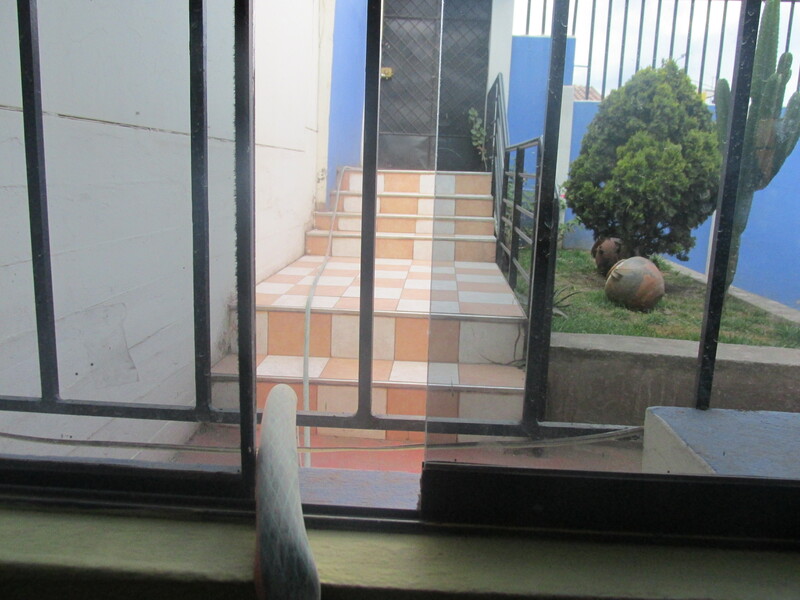 The “president” of the neighborhood said they were making a list of the days where each neighbor would be supplying water and electricity to the construction crew of the “region” Cusco who are refurbishing parking areas and sidewalks in our neighborhood. The crews have been working for about a year, typical inefficient and slow Peruvian public works. I had mostly ignored the ongoing work because trying to improve anything would literally be like fighting city hall. My not-sugercoated answer to the group of neighbors was something about the taxes I pay in this country and that if they wanted me to do the project they’d better pay me and get out of the way because I sure as cielos wasn’t going to support the cl********k that was the project in front of my house. Then the most startling thing happened: the neighbors explained to me that this is what they had agreed on with the leadership of the “region” Cusco, that if we wanted our 40-year old falling apart sidewalks to be fixed, that the people in the neighborhood would supply water and electricity to the workers. It had to be done like that because there are no other options, they said. I always thought the utter incompetence of the Peruvian public works was “just the way it is” but it startled me to find out that educated people actually make high level decisions to make it be that way. It’s not the result of a bunch of guys being sent to a job without instructions or plans, it’s the result of a bunch of guys being sent to do a job with specific instructions how to screw it up. Educated, career bureaucrats who couldn’t milk a cow if you gave them a bucket, deciding how to do things they have no clue about whatsoever. By that time I’d mellowed out a bit and I told the neighbors I really don’t care about the water or electricity that the workers may need, just knock my door and you can have anything you need. What startled me was the utter incompetence. Our sidewalks and parking lots need to be refurbished but the relevance of that project pales in comparison to what Peru really needs, there are people here who don’t have basic services. Forget about schools, health care in rural areas, traffic safety, etc. Those very necessary projects will never happen unless there is a wholesale change in how public works are accomplished. Some neighbors argued this was the right way to do things. How else could the workers do their job, without electricity or water? That is the type of thing that bugs me about Peru. I don’t know if it is the long working hours for the middle class or the silly emphasis on education but there are many people who are quite clueless about life in general making decisions about things they are entirely not qualified for. My neighbors were amazed when I explained to them the correct way to do the project would have been to get in touch with the utility companies and set up temporary connections for water, power, 220V, 480V, whatever the needs of the project are. Give the workers real tools (they are doing this with hammers, chisels and 1 electric jackhammer), machinery, training, safety gear, etc. Today the workers are back at it, they’ve duck-taped a water hose to a faucet in the back of our house (there aren’t any in the front patio) and “routed” their water hose through our living room out to the parking lot. I’m not kidding: there is a water hose duct-taped to a faucet as I’m writing this. 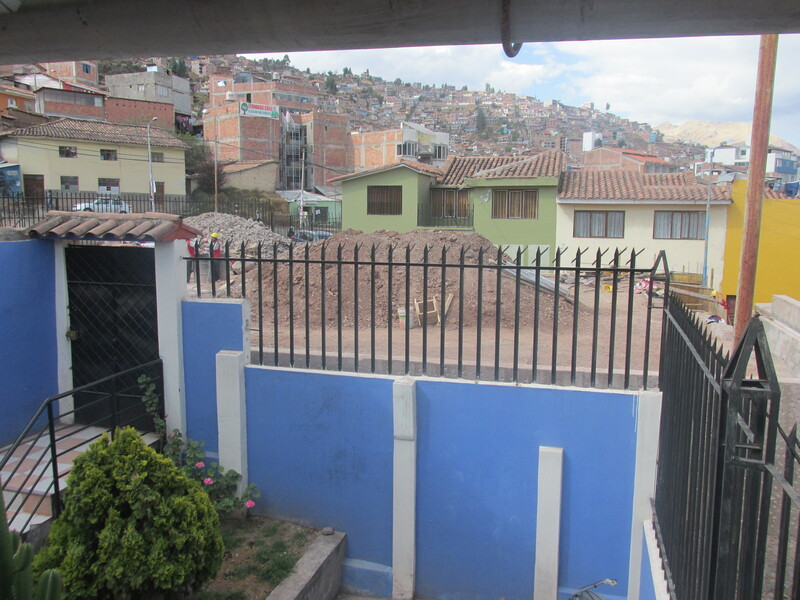 And the project is managed/implemented by “region” Cusco, not even our local municipality or city of Cusco. These are supposed to be the “big guys”. Rant over. Sorry for the venting. This entry was tagged Cusco, public works, region. Bookmark the permalink.